From windscreen repair in Coffs Harbour through to complete windscreen replacement, there’s nothing National Windscreens can’t help you with. We pride ourselves on providing prompt and reliable mobile car window services across Coffs Harbour and surrounds, including North Boambee Valley, Boambee, Karangi, Korora and Toormina. Whether it’s a standard windshield repair or replacement job, a car side window replacement, windscreen chip repair or rear window replacement, you can rely on our team to provide a quality service that gets you back on the road again as soon as possible. We can also assist with non-standard vehicles, such as buses, trucks and other light commercial vehicles. Call us now to find out how we can help you with our emergency windscreen replacement and repair services. Why Choose Our Mobile Car Window Services? 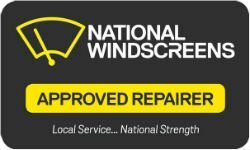 Next time you need windscreen repair or windscreen replacement in Coffs Harbour or nearby areas such as North Boambee Valley, Boambee, Karangi, Korora and Toormina, make National Windscreens your first choice. Contact us today to learn more or request assistance.